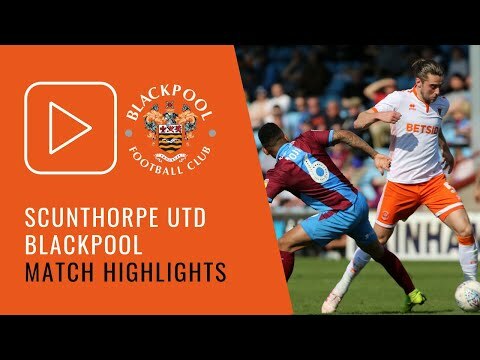 Match PreviewsPool Host Fylde Coast NeighboursEaster Bank Holiday football sees Blackpool welcome Fylde Coast neighbours Fleetwood Town to Bloomfield Road. Club NewsTribute To Alan Suddick In Latest EditionAnother Blackpool King features on the cover of Easter Monday's programme for the visit of Fleetwood Town - The King of Bloomfield Road, Alan Suddick. InterviewsMidfielder Feels Performance at Scunthorpe Warranted MoreJordan Thompson was disappointed not to come away from Scunthorpe United with all three points, given the Seasiders’ dominance in the encounter. 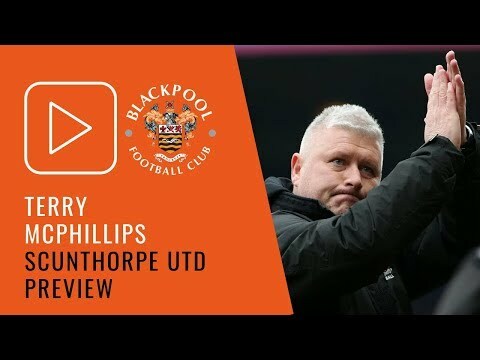 InterviewsManager Re-Emphasises Need To Be Ruthless AgainTerry McPhillips once again emphasised the need for Blackpool to become more clinical after being held to a goal-less draw at Scunthorpe United. Match ReportsSeasiders Held A Stalemate At Glanford ParkBlackpool picked up their first clean sheet in 11 games, as they were held to a goal-less draw at Scunthorpe United. 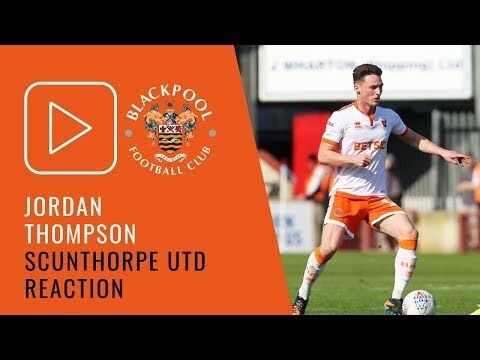 Club NewsMidfielder One of Two Changes For Good Friday FixtureJordan Thompson has been restored to the Blackpool starting line-up for this afternoon's match at Scunthorpe United. 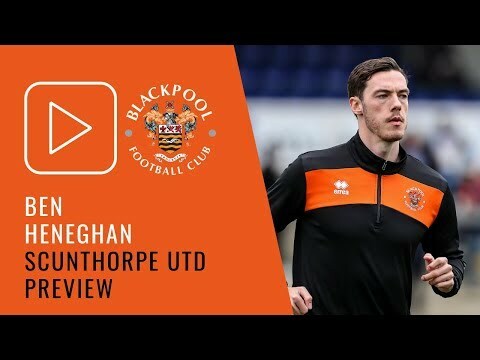 InterviewsDefender Targets Strong End To SeasonBen Heneghan insists there is still a lot to play for as Blackpool head into their last four fixtures of the season. Match PreviewsGood Friday Trip To Glanford Park For SeasidersBlackpool are back in action this Good Friday with an away trip to Scunthorpe United in Sky Bet League One. CommercialPlayers Continue To Utilise FacilitiesBlackpool Football Club is delighted to continue working with DW Fitness First as the 2018/19 season draws to a close. Club News50% Off ItemsA huge training wear sale starts in the club shop on Friday, with items reduced by 50 per cent. InterviewsManager Looks For Strong End To SeasonTerry McPhillips insists Blackpool will be going all out to end the current Sky Bet League One season on a high. Club NewsOpening Hours Confirmed For Bank Holiday WeekendShop and ticket office hours have now been confirmed for the Easter Bank Holiday weekend. 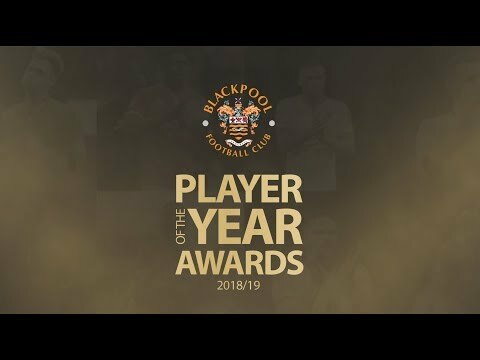 Club NewsPlayer of the Year Awards To Be Held Next MonthBlackpool supporters can now register their votes for the club's 2018-19 Player and Goal of the Season awards. Club NewsMartin Coy To Officiate Good Friday FixtureMartin Coy has been confirmed as the referee who will take charge of Blackpool's league fixture away at Scunthorpe United on Good Friday. 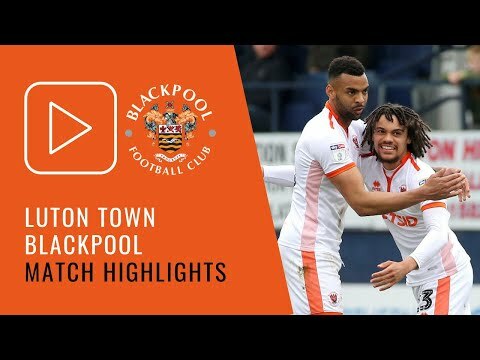 Ticket NewsNo Tickets Available On The DayBlackpool's home match against Fylde Coast neighbours Fleetwood Town on Easter Monday will be an all-ticket fixture. Club NewsGood Friday Trip To Glanford ParkThe Easter Bank Holiday weekend gets underway with Blackpool facing Scunthorpe United on Good Friday. 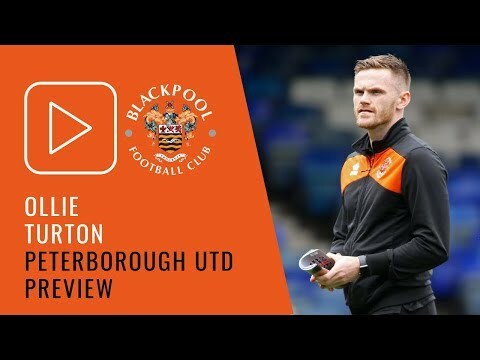 InterviewsOn-Loan Palace Man Looks For Blackpool To Improve After Peterborough LossNya Kirby admits Blackpool can learn from their mistakes after they came unstuck at home to Peterborough United on Saturday. CommunityActivities Planned For Final Game of theBlackpool FC Community Trust is hosting a Family Fun Day prior to the final home fixture of the season against Gillingham. 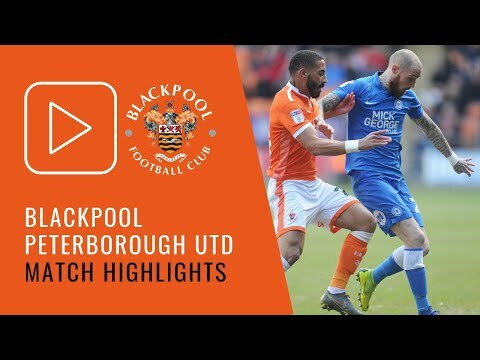 InterviewsManager Disappointed That Peterborough Strike StoodTerry McPhillips bemoaned a hand ball in the build up to Peterborough’s winner, as Blackpool lost 1-0 at Bloomfield Road. 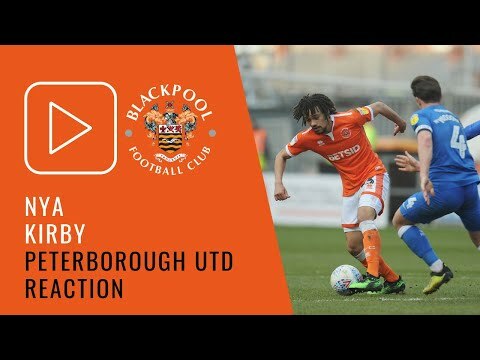 Match ReportsMaddison Ends Seasiders' Three-Game Unbeaten RunA first-half strike from Marcus Maddison proved enough to see Peterborough record a 1-0 victory over Blackpool at Bloomfield Road. Club NewsSame Again For SeasidersManager Terry McPhillips has opted to name an unchanged side for this afternoon's match against Peterborough United. Club NewsSpecial Tribute Cover In Memory of Billy AyreA special tribute cover in memory of Blackpool's 1992 promotion-winning manager Billy Ayre fronts the programme for the visit of Peterborough United this weekend. Club NewsMatch Dedicated To Work of Equality and Inclusion OrganisationBlackpool's home fixture against Peterborough United this weekend will be dedicated to the work of Kick It Out, football's equality and inclusion organisation. Club NewsSpecific Sizes Available AgainA limited amount of Blackpool home and away shirts are now back in stock at the club shop. Blackpool will not lose any points following February's appointment of joint receivers, the English Football League has confirmed. Club NewsStatement IssuedThe Board of Blackpool Football Club is delighted the English Football League has confirmed there will be no points deduction following the appointment of Court Appointed Receivers on February 13 2019. Ticket NewsNow On Sale For Final Away Match of the SeasonTickets have now gone on sale for Blackpool's final away fixture of the season at Barnsley. 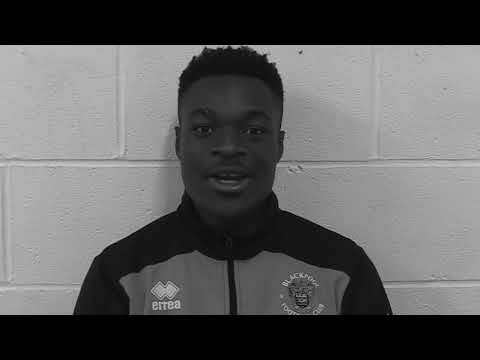 InterviewsDefender Answers The QuestionsBack at Blackpool for a second spell, Donervon Daniels has made 29 appearances at both centre-back and right-back. Club NewsShow Your Support For The SeasidersShow your support for The Seasiders and let everybody know we're back in action at Bloomfield Road on Saturday. Club NewsPeter Wright To Officiate FixturePeter Wright will referee his second Blackpool match of the season on Saturday, when The Seasiders face Peterborough United. Club NewsDefender Claims Accolade For Match With Stunning EffortCurtis Tilt’s dramatic overhead kick against Plymouth Argyle has been voted your March Goal of the Month. Club NewsVarious Positions AvailableThe Blackpool FC Hotel and Conference Centre is looking to recruit additional staff in numerous areas of the business, including catering and housekeeping, plus bar and reception staff. Ticket NewsGood Friday Fixture Tickets On SaleTickets are currently on sale for Blackpool's Good Friday fixture away to Scunthorpe United. Club NewsAppointment ConfirmedBlackpool Football Club is delighted to announce that Michael Bolingbroke has joined the Board as Executive Chairman. Club NewsSeasiders Host The Posh On SaturdayBlackpool will aim to build on a three-game unbeaten run when hosting Peterborough United at Bloomfield Road this Saturday. InterviewsOn Loan Palace Man Delighted With FirstNya Kirby was pleased to mark his latest start in a Blackpool shirt with his first goal in professional football.